So many dates on the calendar, so many reasons to celebrate, so many different ways. Christmas, Hanukkah, New Years, Kwanzaa; these are times that can be extremely difficult for many foster children. My favorite time of the year is upon us. Christmas and the holiday season. Our family just put up our Christmas tree; our biggest yet. A 13-foot tree, filled with lights and homemade ornaments. Like every year, the children in our home put up most of the ornaments and lights, while my wife and I helped the little ones. It was a magical day to start off a joyous time of year. There was much laughter, music, and excitement. Yet, for two little girls in our home, it was a time of confusion, and even some anxiety. You see, for these two little girls, placed in our homes from foster care five months earlier, it was their first experience with Christmas, and they were full of questions. So many dates on the calendar, so many reasons to celebrate, so many different ways. 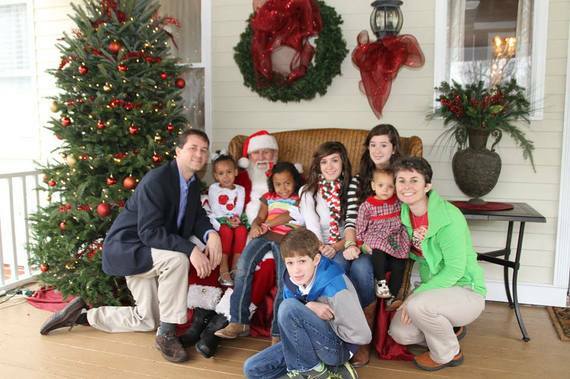 Christmas, Hanukkah, New Years, Kwanzaa; these are times that can be extremely difficult for many foster children. During this time of Holiday Cheer, many foster children are faced with the realization that they will not be "home for the holidays," with their biological family members. When they wake up Christmas morning, and are surrounded by people who just may be strangers to them, strangers who are laughing and having fun, it can be a very difficult time for them, indeed. To be sure, it is a day that is a stark reminder to these children that they are not with their own family. It is during the holidays when families are supposed to be together, yet these children in care are not. They are not with their families, and they may not know when they will see them next. Indeed, this can be a very emotionally stressful time for all involved. ​There are a number of other ways foster parents can help the children place in their home during this time of year, as well as reach out and help the birth families of these children. This IS the season of giving, and we are all called to give unto others. With a little preparation beforehand from you, this season of joy can be a wonderful time for your foster child, one that may last in his memory for a lifetime, as well as in your memory, too. After all, the gift of love is one that can be shared, not only during the holidays, but all year long, with the child, with the family, and with all we meet. May you experience this joy and may you share it with others. Dr. John DeGarmo has been a foster parent for 14 years, now, and he and his wife have had over 50 children come through their home. He is a consultant to legal firms and foster care agencies, as well as a speaker and trainer on many topics about the foster care system. 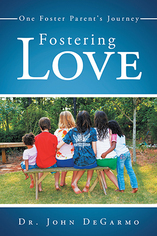 He is the author of several foster care books, including the inspirational best seller Fostering Love: One Foster Parent's Journey, and writes for several publications, including Foster Focus magazine. He can be contacted at drjohndegarmo@gmail, through his Facebook page, Dr. John DeGarmo, or at The Foster Care Institute.